HHV-6 B is the more common one. Most of us—more than 90 percent—are infected during our first three years and therefore carry it around with us for the vast majority of our lives. For most babies, the initial infection doesn't cause any noticeable health problems. Within a day of the fever going away, the child may develop a rash that doesn't itch or cause discomfort. The rash is made up of lots of small pink spots or patches, some of which may have a white ring around them. It will usually begin on the torso and then spread to the limbs and possibly the face. It can go away in as little as a few hours or hang around for several days. Roseola usually isn't serious, but in rare cases, a child may develop a high fever that can lead to complications, including seizures. The typical treatment is medications to control the fever, and rest. Epilepsy is chronic, meaning that it's a condition that requires long-term treatment and management. If you suspect a child in your care has encephalitis, it's imperative that you seek immediate medical attention. Any kind of seizure also warrants urgent treatment. Research links HHV-6 A to numerous neurological conditions. Some of these links are supported by considerable evidence, while other ties are less certain. At this point, we can't say for certain that HHV-6 directly causes any of these conditions. While anyone can have an HHV-6 reactivation, it's most common in people with an immune system that's compromised by illness or medication. That includes those with HIV/AIDS, autoimmune disease, or organ transplants. Some people with an active HHV-6 infection may develop more than one of these illnesses. However, a vast majority of people infected with this virus have no symptoms at all, and many have only mild, short-term symptoms. We have a few different blood tests that can detect whether you're infected with HHV-6. One of the tests comes back with a "yes" or "no" answer, though, which isn't terribly useful. Remember that most of us have probably carried this virus around since childhood. Instead of looking at whether it's there, another test looks at the level of antibodies in your blood, since an elevated number can indicate an active infection rather than a latent one. Complicating matters is the fact that getting a negative result from a blood test doesn't necessarily mean you don't have an active infection. That's because HHV-6 can infect a single organ, including the brain, heart, lungs, liver, and uterus. That means tissues have to be tested to determine whether you're infected. With blood tests being rather unreliable, doctors sometimes diagnose an HHV-6 reactivation based on symptoms. They also need to rule out other potential causes of similar symptoms, such as mononucleosis, which is caused by Epstein-Barr virus. Before diagnosing roseola in a baby, doctors generally consider other possible causes of rash and fever—of which there are many. Your doctor may also use diagnostic imaging, tissue biopsy, lumbar puncture, or a method of visualizing the inside of your airways that's called bronchoscopy. 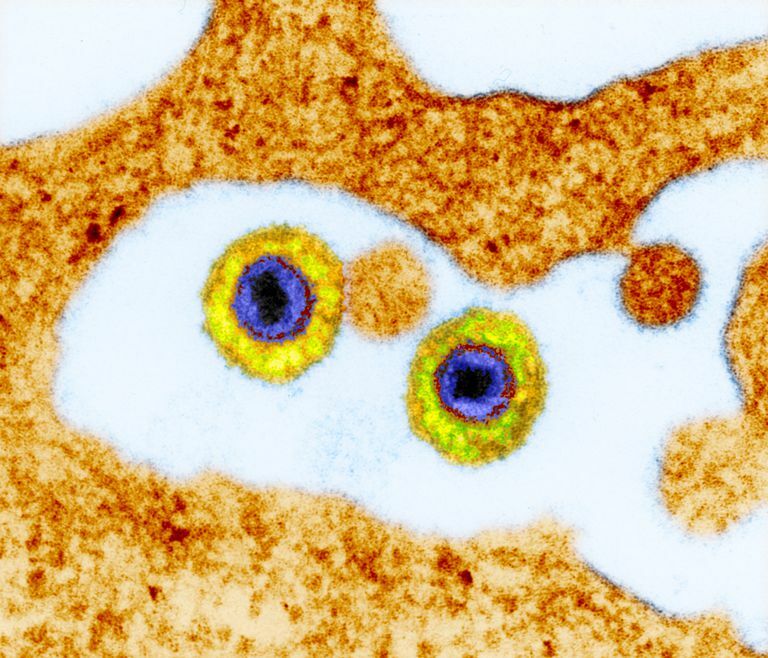 Different lab test are used for diagnosing HHV-6 reactivation in organ transplant recipients or people with hepatitis, encephalitis, or compromised immune systems. At this point, we don't have a well-established treatment regimen for active HHV-6 infections. Because symptoms can vary widely from one person to another, doctors generally tailor the treatment to the individual case. Antiviral drugs have gotten some attention for treating HHV-6, but so far, they remain unproven. Some of the more common drugs suggested for combating this virus are Cytovene (gancilovir) and Foscavir (foscarnet). Sometimes, an infected baby may need to be hospitalized for treatment, but this is rare. We do not have a vaccine for preventing HHV-6. If you think you may have an illness that could be related to an HHV-6 infection or reactivation, be sure to bring it up with your doctor. A proper diagnosis is the first step toward finding the treatments that help you feel better. Many of the illnesses linked to HHV-6 are chronic, so you may have to learn to manage them. Educating yourself, working with your doctor, and exploring different treatment options are all important when it comes to finding your optimum treatment regimen. Ablashi D, Agut H, Alvarez-Lafuente R, et al. Classification of HHV-6A and HHV-6B as distinct viruses. Archives of virology. 2014 May;159(5):863-70. doi: 10.1007/s00705-013-1902-5. Ablashi D, Jacobson S, Pellett P, et al. HHV-6 special section. Introduction. Journal of clinical virology. 2009 Sep;46(1):9. doi: 10.1016/j.jcv.2009.05.012. Casselli E, Zatelli MC, Rizzo R, et al. Virologic and immunologic evidence supporting an association between HHV-6 and Hashimoto's thyroiditis. PLoS pathogens. 2012;8(10):e1002951. doi: 10.1371/journal.ppat.1002951. Lautenschlager I, Razonable RR. Human herpesvirus-6 infections in kidney, liver, lung, and heart transplantation: review. Transplant international. 2012 May;25(5):493-502. doi: 10.1111/j.1432-2277.2012.01443.x. What Does Congenital Mean at Birth? Who Is at Greatest Risk of West Nile Fever? What Are Common Illnesses in Teenagers?